Ghidrah is still the best monster they ever created. I saw the original in the theatre in 1965. They always need a gang of monsters to gang up on him. No one beats Ghidrah one on one! SandAndGlass, rontoon and Luke The Drifter like this. 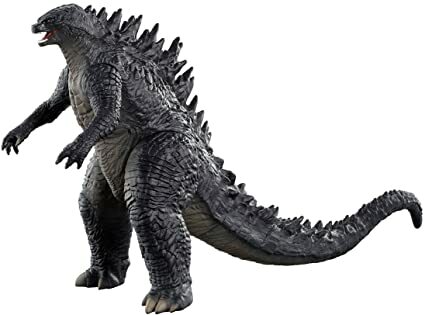 Godzilla doesn't look right if he doesn't have some meat on him. This is a toy from the 2014 version that has him much skinnier in his upper half...it just looks off. Have you seen Mecha-Ghidrah? Pretty cool as well! I dunno. The new look is a little goofy to me. SandAndGlass, RK2249, Sammy Banderas and 6 others like this. Someone's gotta take donw the Patriots a notch. Let's see how long Brady and his underinflated football stands up to Big G.
Go on, throw some chowder at him. See how that works. It must be Godzilla because Boston knows the Big G sure as hell doesn't mean Green Bay. Very true. That's what happens when you build a franchise around one player. Vidiot and PTgraphics like this. 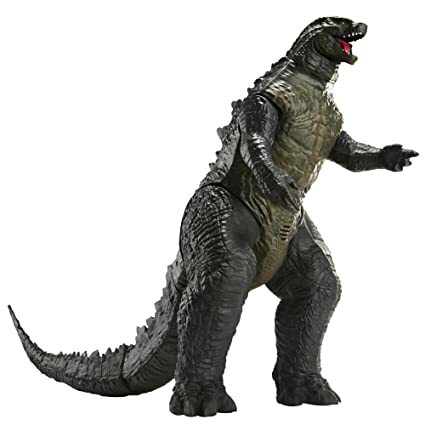 Loved Godzilla movies as kid and enjoyed the reboot. This looks like a total blast. Can't wait!!! Bring on King Kong next!